My 6-year-old often sits on the floor in the bathroom while I take my 6 a.m. shower. She knows that Mommy is getting ready for her job at a nearby school, a school where students learn to love and serve God. On some level, she may even know that Mommy tells other people about the school and asks them to give money to support it. But during those moments—just the two of us in the bathroom, talking about the color of pantyhose or the art of an eyelash curler—I’m already hard at work at my other full-time job: being Mommy. I am blessed that the two roles to which I devote the majority of my time and energy on any given day—Director of Development and Mother of Three—call me time and time again to face my own brokenness, cling for dear life to God’s amazing promise of grace, and point those with whom and for whom I work to this truth, as well. I don’t have a “day job.” Anyone who has ever worked for a nonprofit and/or had three people under the age of 7 in their care knows that neither of those roles starts—or stops—at any particular time. Each day is its own adventure. When my head finally hits the pillow, I could easily devote the small amount of time before I fall dead asleep to counting the ways I didn’t meet expectations that day. There’s always one more spreadsheet I could have tweaked, one more vegetable I could have steamed, one more donor I could have thanked, or one more theological truth I could have woven into a conversation about Frozen or construction equipment or our dog’s inevitable death. The truth is that, if I didn’t close my eyes each night with a clear sense of the many, many ways I need Christ and fail him each day, I would be deceiving myself. But those who have been transformed by the truth of the gospel know that the blessing of our irrefutable failure is a clear and undeniable sense of God’s love. There is no condemnation for the newsletter printed with numerous typos; there is grace poured out through coworkers sharing stories of their own mishaps. There is no guilt for the raised voice and subsequent need to ask forgiveness of my child; there is love in the small hand that squeezes mine while we pray and kisses me afterward without prompting. There is no anxiety for the countless opportunities missed each day due to exhaustion or commitment elsewhere; there is joy and wonder in the ways God works around—and in spite of—me each day. He is so much bigger than my ineptitude and me. And you would be hard pressed to spend more than a day in my world without realizing that full well. The times my work is particularly meaningful occur whenever the stain of my sinful humanity meets the beauty of Christ’s love—and does so in a way that points those around me to him. As a development director, I get to communicate my ministry’s vision to thousands of people who, in turn, may choose to include it in their stewardship planning. God moves them to do this despite the poor-quality photo I post on the website or the event they attend where my caterer forgets the plates. Their giving is God-ordained, God-honoring, and completely independent of me. In the same way, God allows me the privilege of shepherding my children’s hearts and watching him plant and grow a seed of love for him that takes root despite my misguided attempts at “gardening.” They see me frustrate or neglect their father, but God shows them the beauty of his unwavering love when we reconcile. They see me deliver an unimpressive and even unappetizing meal to a friend who’s had surgery, but they see the body of Christ living in community with one another. They witness my sinfulness, but God pours mercy and grace down upon me in a way that brings them closer to understanding and embracing that same unfathomable love for themselves. My day often begins in the bathroom with my daughter and ends with the “exhausted pillow flop” moms know so well. But that day in between uses my weakness to showcase Christ’s strength. And it is worth every effort I can muster . . . and yet not dependent on it in the least. ​Nikki Daniels is director of development at Wheaton Academy, a Christian high school in the western suburbs of Chicago. 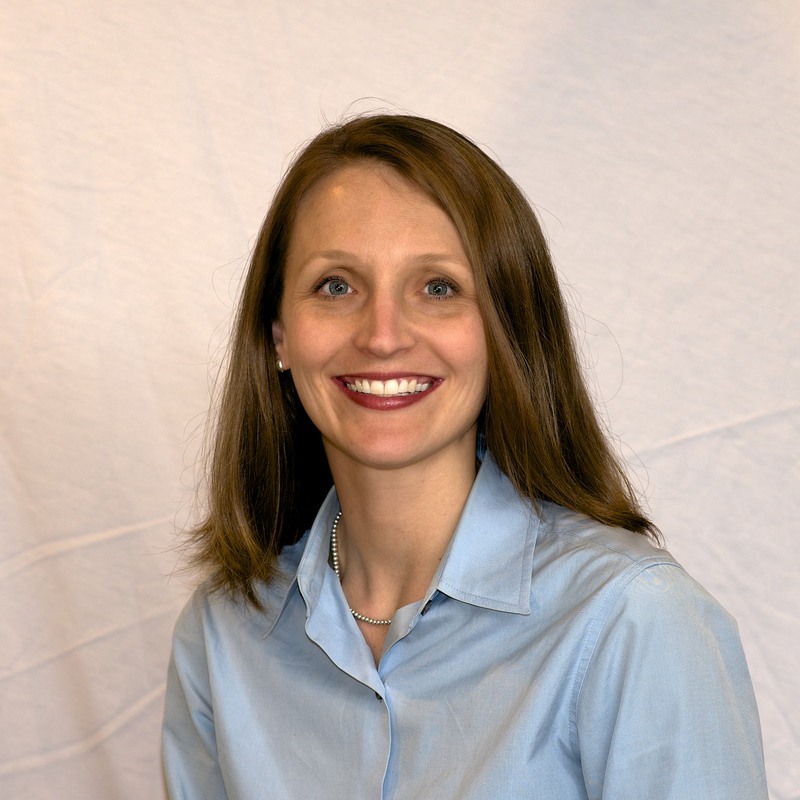 She holds a BA in political science from Wheaton College and an MBA from North Park University. A native of upstate New York, Nikki now resides with her husband, Ryan, and their children Linnea (6), Thomas (4), and Naomi (2) in Geneva, Illinois.